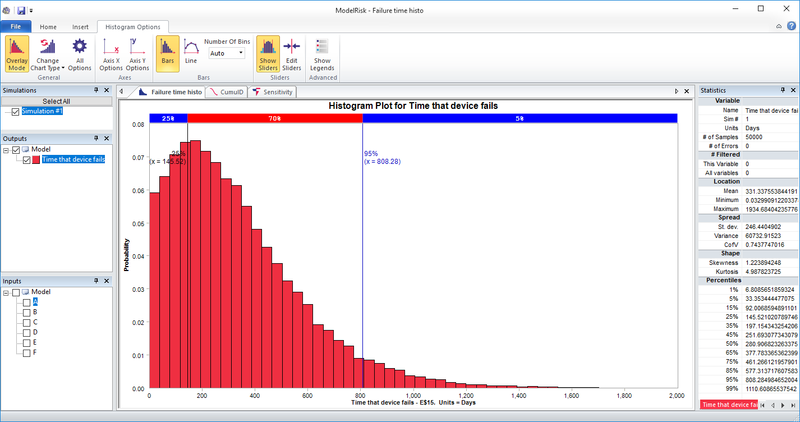 This simple model estimates how long a device will operate before failing, considering the reliability of all of its key components. At least one of Components E and F are working. 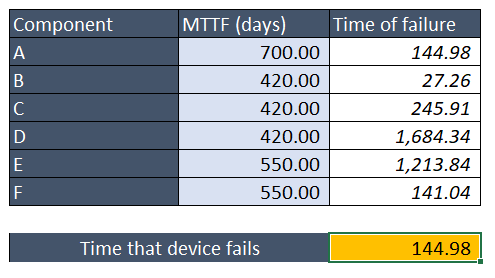 In the model, each component is given a MTTF (mean time to failure). This is used with an Exponential distribution in the Time of failure column to simulate the day on which the component will actually fail. 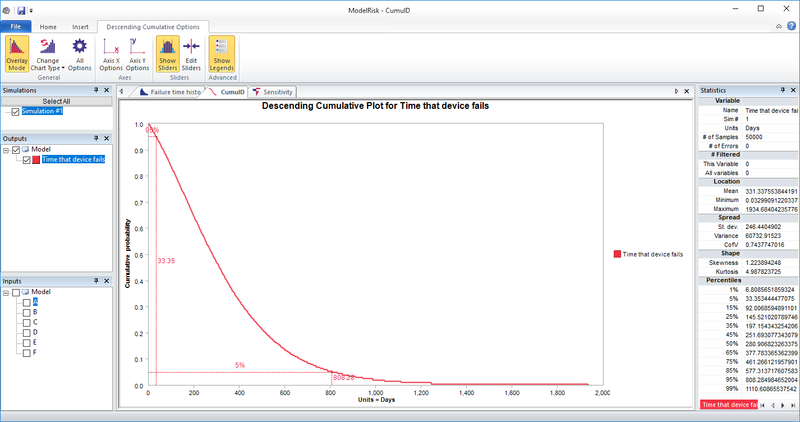 The time that the device actually fails (the output, in yellow) is then simply MIN(A, MAX(B,C,D),MAX(E,F)) where each letter represents the simulated time of failure of the respective component. The model takes about 12 seconds to run 50,000 samples. It is set up to directly show three reports within the ModelRisk ResultsViewer at the end of the simulation, which are described below. One can see, for example, that the lifetime has a 5% chance of being more than 810 days, and that there is a 5% chance it will be less than 33 days. For example, component A is contributing about 470 days of uncertainty (506 - 36, the positions of each end of the bar). Components E and F are the next most important and contribute the same as we would expect, and components B, C and D contribute the least. 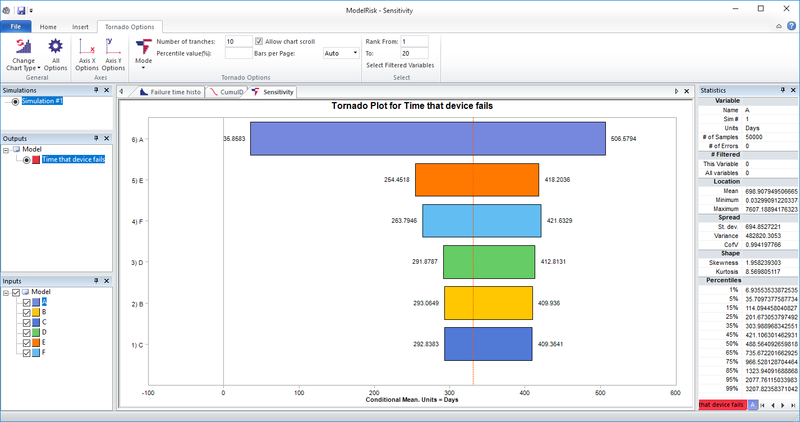 The tornado sensitivity plot is great at showing where to focus to try to reduce overall uncertainty.